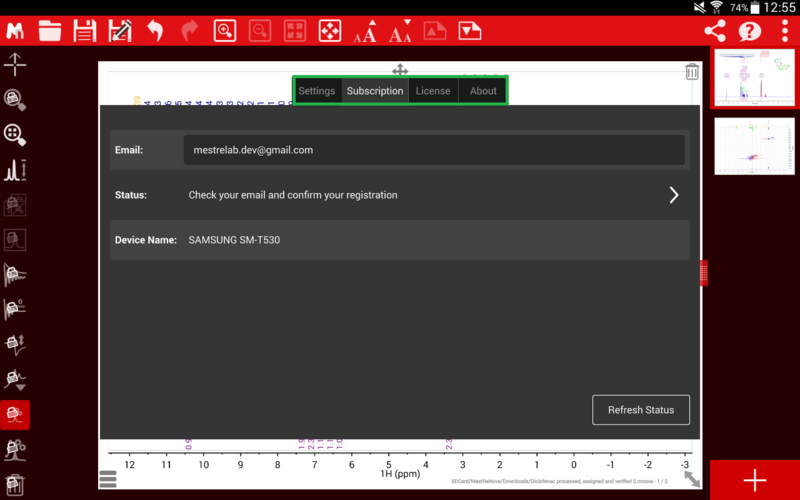 Mestrelab Research has implemented a new NMR “app” designed for hand-held and portable touch-controlled devices such as tablets, which works on both Android and iPad devices. 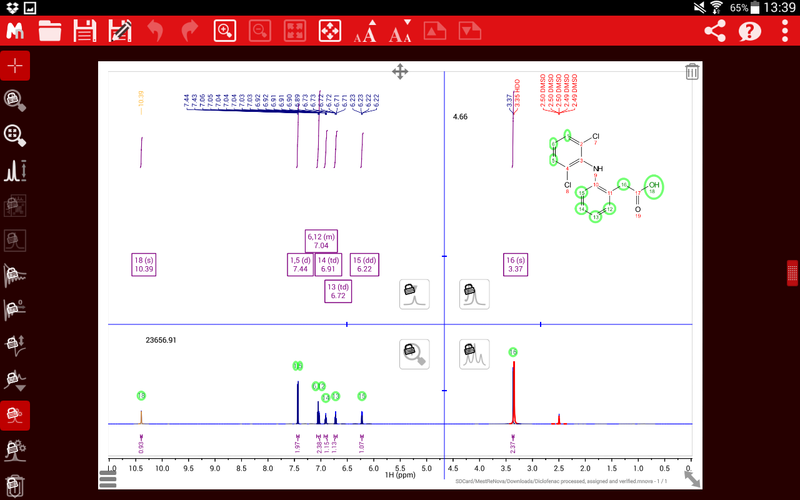 The Mnova NMR tablet app has been designed to provide most of Mnova NMR processing functionality at high speed. The obvious advantage is the flexibility in mobility for processing, analyzing and viewing your spectra. The first thing you need to do is to download the application either from Google Play (Android) or Apple Store (iPad) and search “MestReNova”, if you have not done so yet. The application should be fairly intuitive for existing Mnova users. Nevertheless this starting guide aims to show you a description of the main features in the different versions. 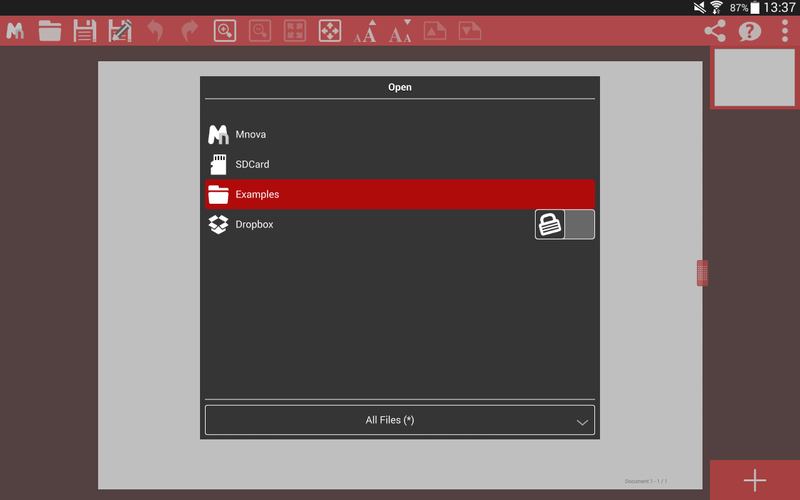 Starting from the right hand side, you can find the File button which displays a typical “File menu” where you can open and save files as well as edit the settings. You can open files in several ways (via Dropbox, zip file attached to an email and also via iTunes when using an iPad). Others will hopefully be implemented in the near future. 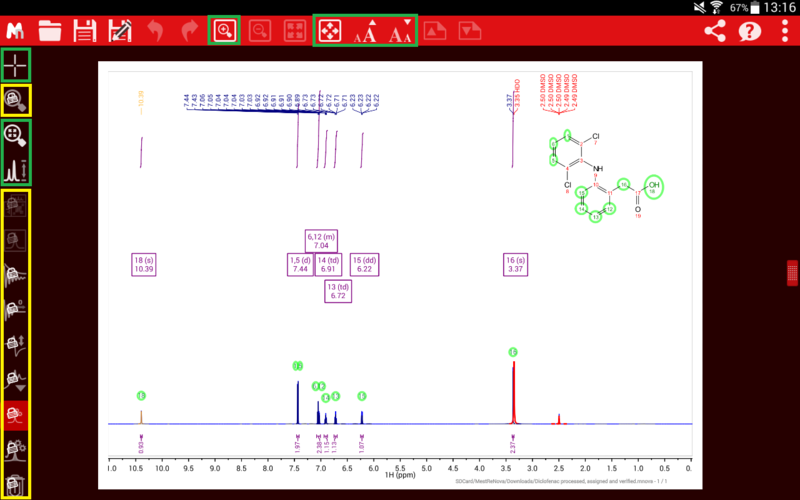 Beware that you cannot just open “fid” or “1r” files when importing Varian or Bruker raw data. In addition to the fid file, you also need the “procpar” file which contains all the necessary metadata. 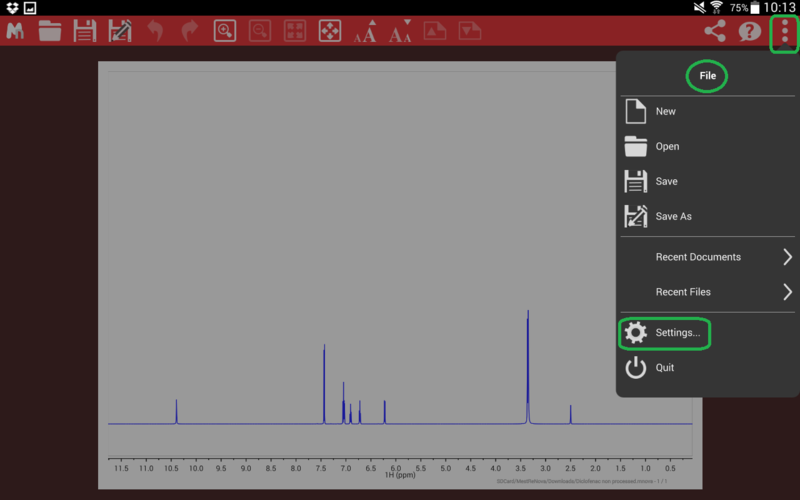 In the case of Bruker, in addition to the FID file, the acqu(s) files are needed. 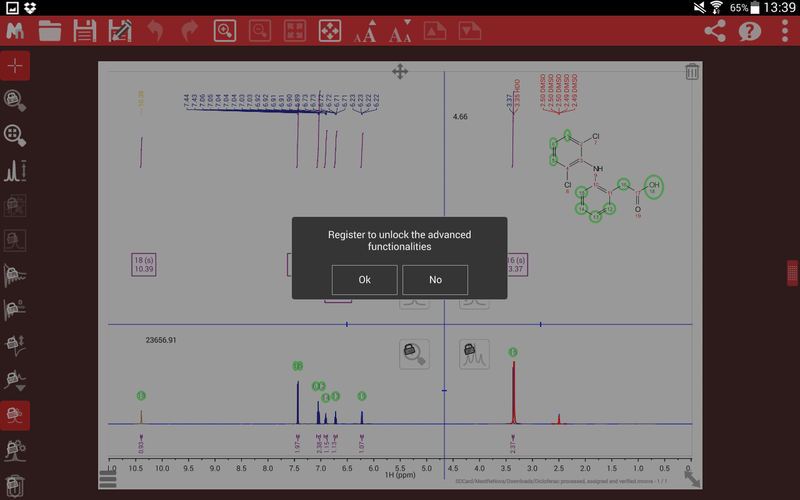 This is not a Tablet only limitation, it is the same with Mnova desktop and any other NMR processing package. 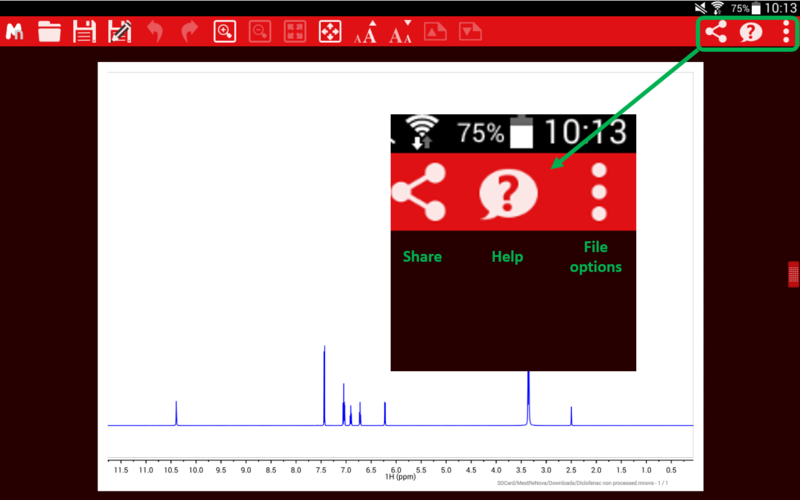 Mnova tablet app also comes with a folder with some examples of spectra and a structure for you to test. This button will probably save you some time, as it gives you the quickest way to get you started. 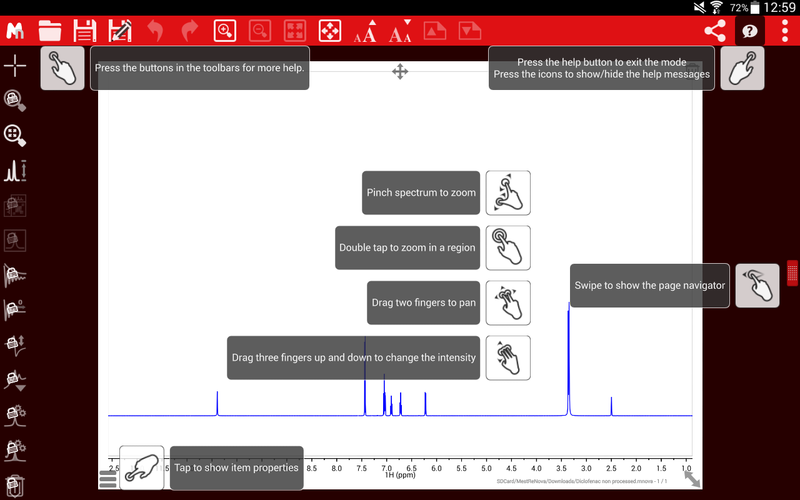 It displays how to visualize or interact with your spectra. It is highly recommended to press this icon before you start learning how to use this app. A more comprehensive explanation about the help buttons is given further down in this tutorial. 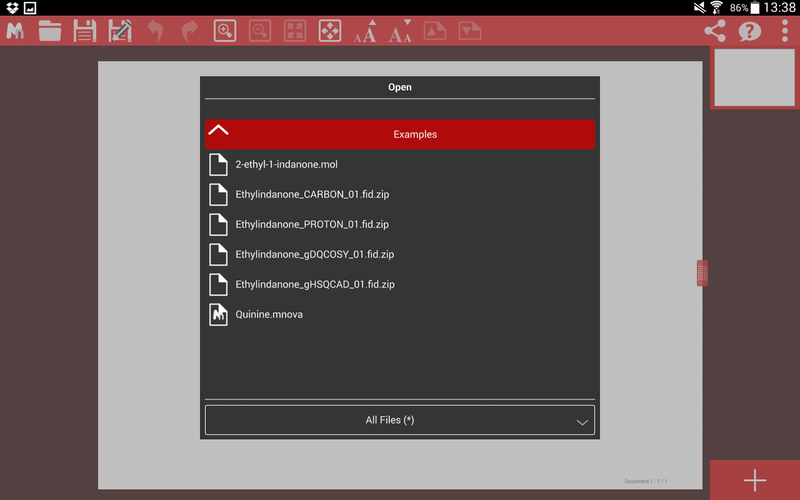 You can share your data as a PDF, Mnova document or as an image just by clicking on the sharing icon. Back to the help button described above, here you can graphically see how these intuitive options work. Phase correction, baseline correction, apodization, zero filling and linear prediction. Peak picking, integration, multiplet analysis. In addition to the visualization tools available for the free version, the full version adds an improved zooming option. You can read more information on the following tutorial about Mnova tablet functionality (full version). 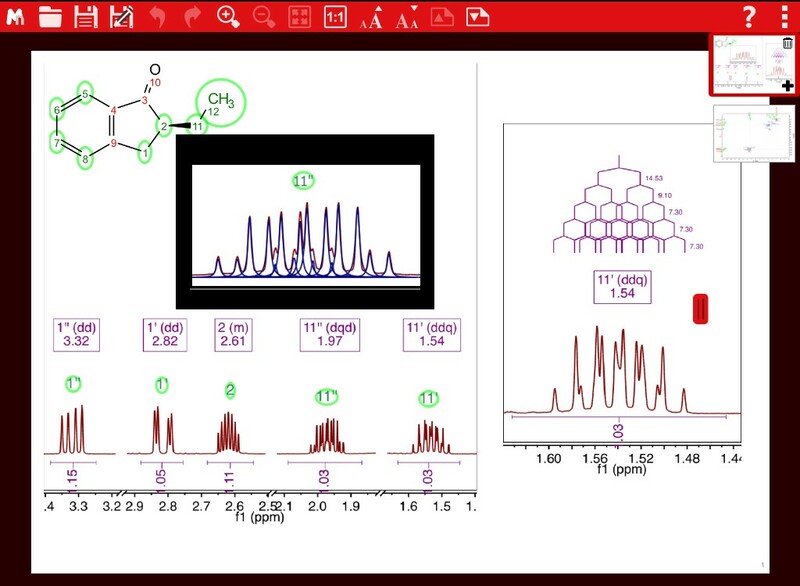 It is worth mentioning that whilst not all the analysis capabilities of Mnova Desktop are available in the Tablet app, any document created with the latter can be displayed in the Tablet version. These limitations are adding insets of the spectrum within the main spectrum, deconvolved peaks calculated with GSD, a coupling constants tree, assigning and verifying tools. 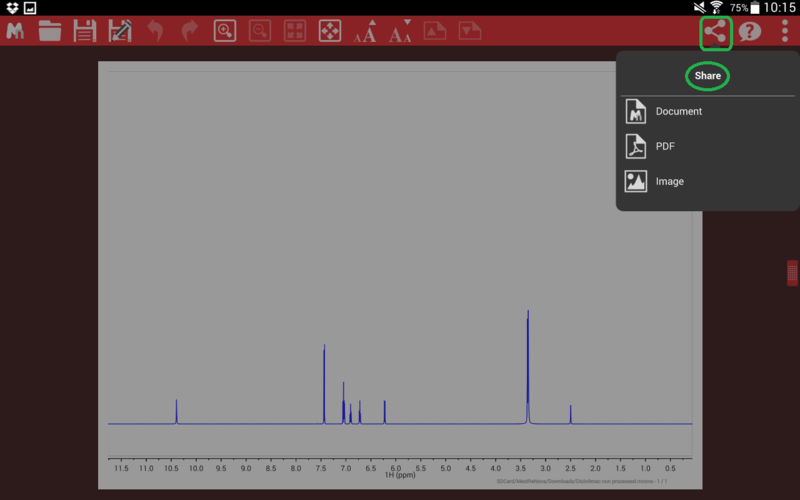 An example of these limitations is displayed in the spectra below by processing the spectra on the Mnova Desktop version beforehand.